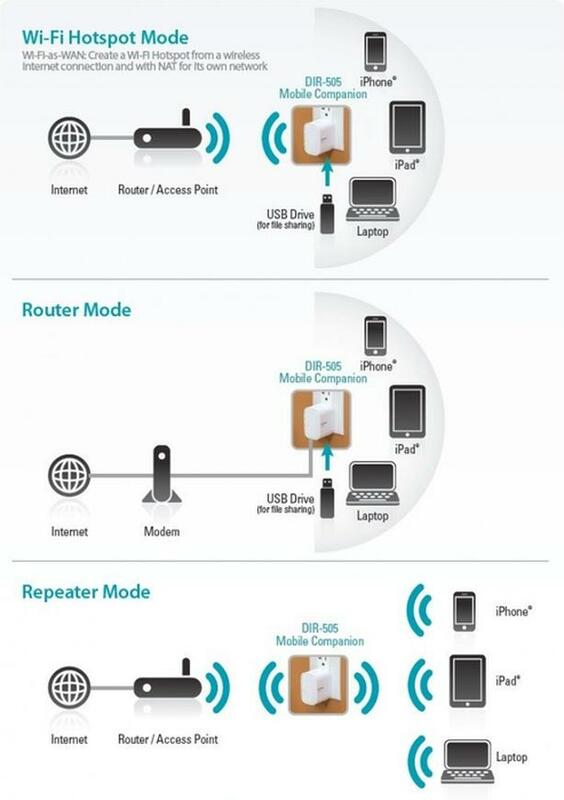 The DIR-505 All-in-one Mobile Companion is a portable plug-in router that lets you share your Internet connection and your files all from a compact device that fits in your pocket. Tiny yet versatile, it gives you all the functionality of a router, access point, wireless repeater, and network storage drive in a device that fits in the palm of your hand. 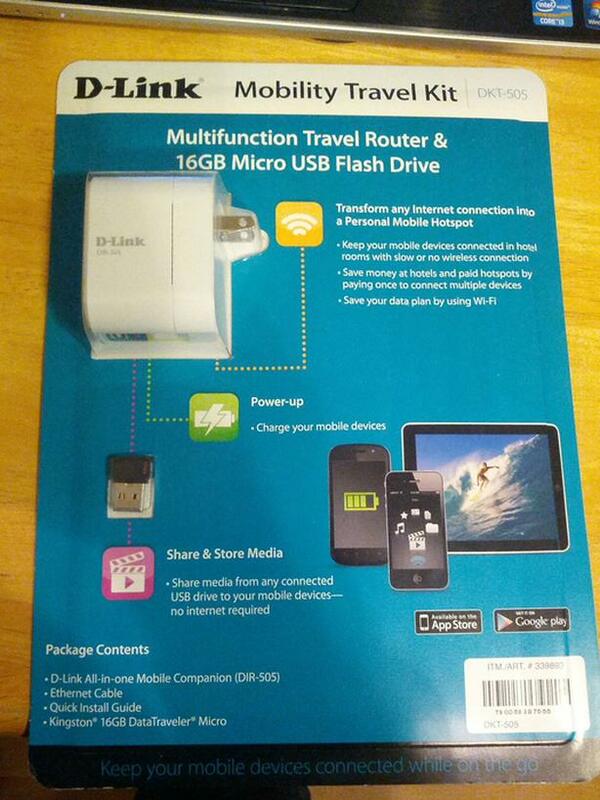 Features: Supports Power over USB for Added Convenience SharePort Web File Access Support (Router and Wi-Fi Hotspot Mode Only) SharePort Mobile App for iPhone and iPad (Router and Wi-Fi Hotspot Mode Only) QRS Mobile App for iPhone and iPad (Router Mode Only) Wall-plug Design for More Convenient Use Elegant Design and Compact Size - Does Not Block Other Outlets D-Link One-Touch AP Configuration Guest Zone Support.